Smoked paprika is sweet peppers that have been dried out using burning oak and then ground up into a fine red powder. 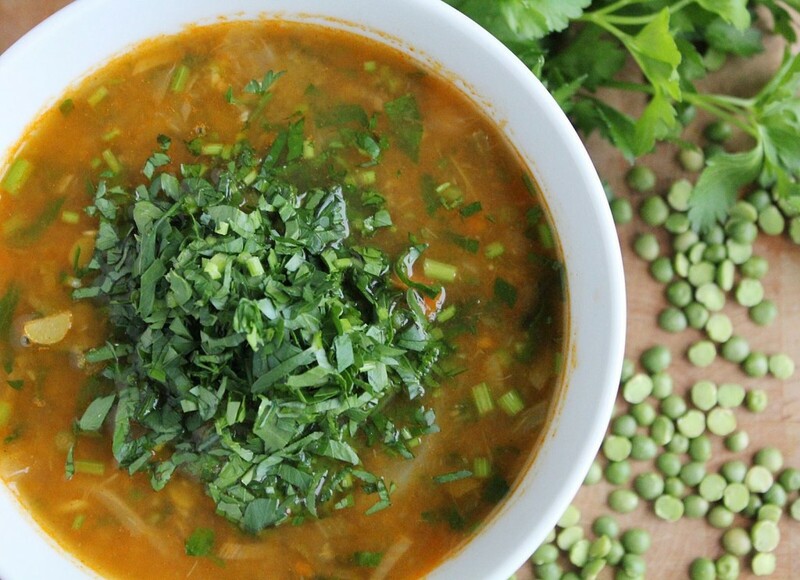 Only two teaspoons added to this crazy-amounts-of-vegetables soup gives it a meaty edge. 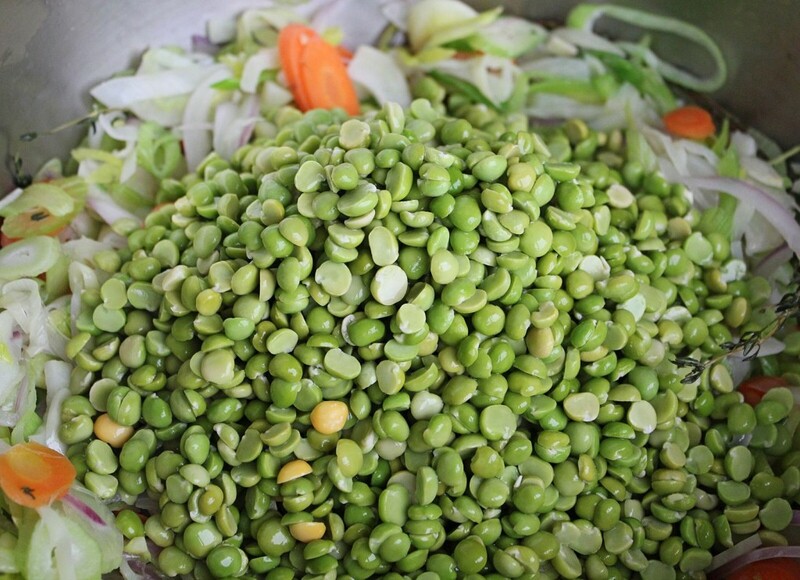 The split peas also add a certain (beef-free) beefiness, satisfying even the most carnivorous palates. But it is totally meat-free, antioxidant-full, and prepared to squash those cancer cells. Learning to eat a predominantly plant-based diet can be challenging if you grew up with meat at the center of every meal. It is often just about distracting your brain and not letting yourself feel deprived of the deep, meaningful flavours of your past. What are the spices in your favourite Italian sausage? Sprinkle them on some roast tomatoes, mushrooms or even walnuts. Add them to this burger recipe, and shape them like meatballs. It’s all about the mind games. By the time my contract was up with this particular client, he looked, and says he felt like a million bucks. 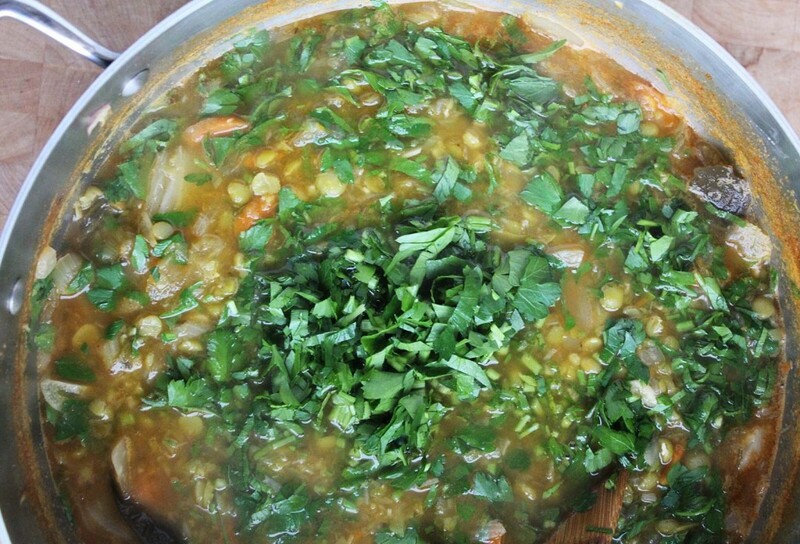 I didn’t ever make this soup for him, but he would have liked it (as long as he didn’t know what was in it…). I find I learn the most from my more anti-veggie clients. Mostly that fresh and beautiful vegan fare doesn’t work for everyone and that sometimes it needs to resemble old habits, visually, texturally and/or aromatically. 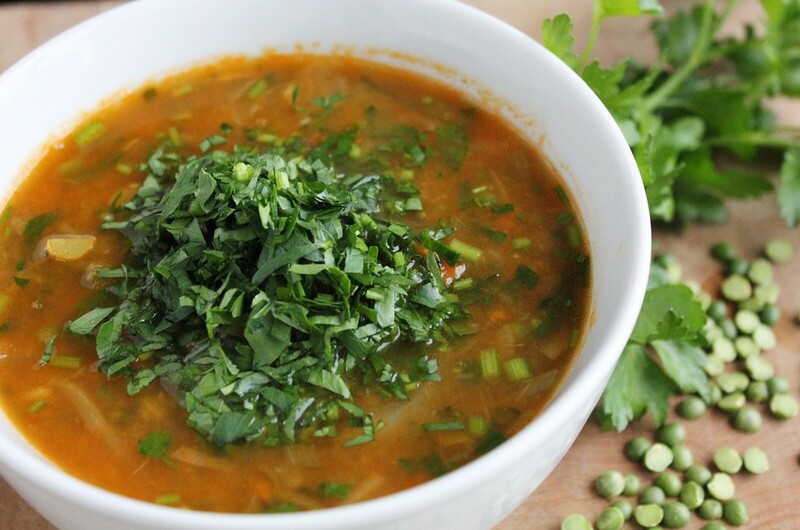 This soup keeps well in the fridge for a few days and freezes well too. I have instructed to partially purée it, but if you would prefer a smooth, easy to sip-style of soup, blend up the whole thing. 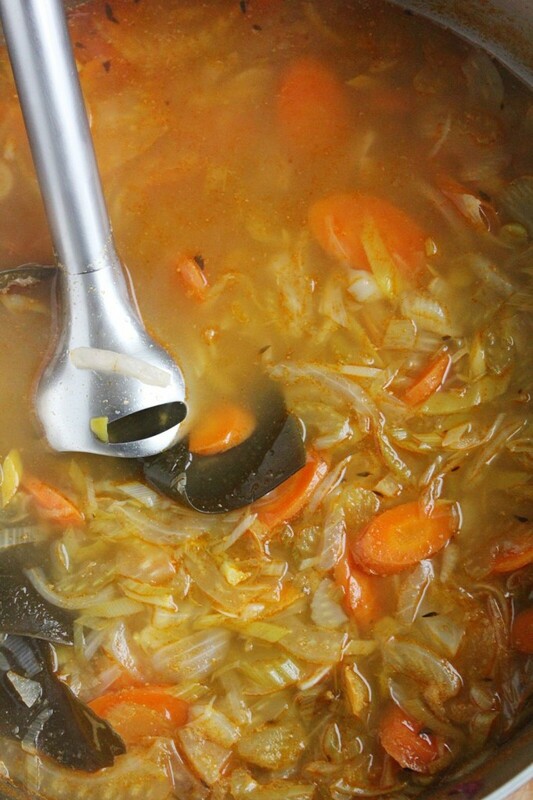 In a large pot, sauté the onion, leek, carrots, celery, fennel, garlic, bay leaf and thyme in the coconut oil and a splash of water until everything becomes soft and translucent. Add the split peas, paprika, turmeric, kombu and water/stock. Bring to a boil and simmer, with the lid on (to prevent evaporation) for an hour or until the peas have really softened. 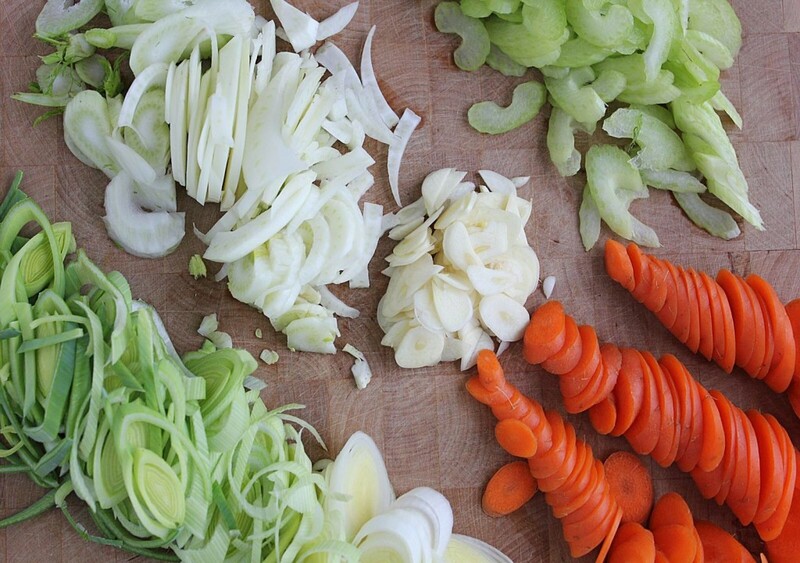 Blend up 3 cups of the soup in a blender and return to the pot. Alternatively, put an immersion/stick blender into the pot and pulse several times to break up the peas and veg and thicken the soup a little bit. Stir in some water if it thickens too much. Stir in the parsley and serve. Possibly over a big bowl of raw greens. I made this yesterday for my ‘old man’ (whom I’m visiting in Edmonton), and this time I used smoked paprika. It’s soooo good! My dad loves it, and I’m totally wowed by the flavour. Tastes even better today than it did yesterday. The smoked paprika changes things incredibly, but without it, it would be a nice, clean soup. Less loud.